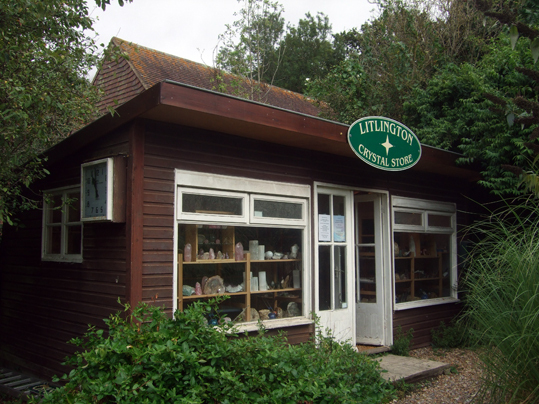 Here are some photos I took of the Litlington Crystal Store in Sussex. 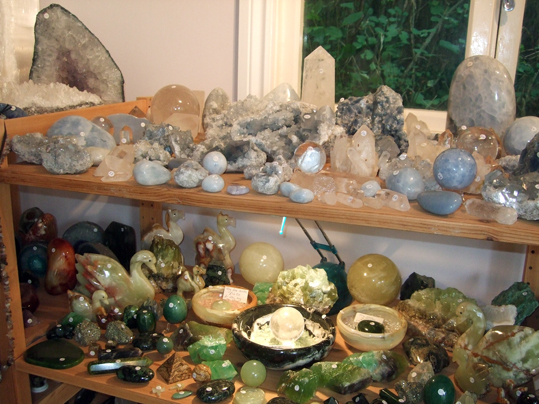 It is my favourite crystal shop - and yesterday my hubby took me there to let me choose something for him to buy me as a wedding anniversary present. A witch in a crystal shop is like a kid in a sweet shop. 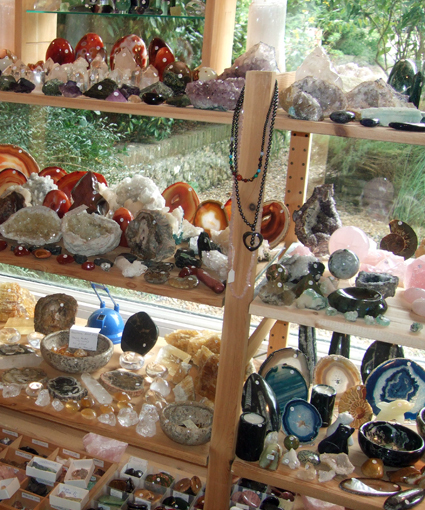 As you can see it is full of the most amazing crystals in all shapes and sizes, including jewellery as well as crystals for magical uses or just for ornament. I'm not going to say yet what my hubby bought me - it isn't our wedding anniversary for a few days and I'm going to try to pretend it is a secret until then. Wow! They have quite the collection! Those pictures only show one corner of the shop too!